made the effort to make sure everyone was involved and that everyone participated. good word for anyone looking for children's entertainment. Very professional!! The entertainment for my sons party was on point. They was extremely friendly on the phone and attentive to every need. They stayed in consist contact with me to make sure our day was perfect. The workers came bright and early to set up the bouncy house and showed me how to work it with no problems. If you have the space and can afford a little extra. Believe me, it's well worth it! The kids had a great time. To top it off, I had the best entertainers ever. They was so on point when it came to the organization of the party and entertaining the kids. The kids had a ball. I strongly recommend this place if your having a party and need reliable great entertainment..two thumbs up!!! For my daughter's birthday party we decided on the package with 2 clowns. These clowns were amazing from the start, very funny but also professional when they needed to be. They knew how to take control of the party and stayed very well organized. Their energy was high throughout the party and that kept the kids involved and loving every aspect of the show and activities. Along with the clowns we also rented two bounce houses with a slide and a water slide. No complaints. I wont hesitate to use them again in the future. All the kids were very happy and would love to see the performers again. I used clowns.com for my daughter's first birthday party after seeing what an amazing job they did at my cousin's party. The entertainers were OUTSTANDING!! They exceeded my expectations! We had one clown and one magician. They were professional, so sweet, funny, friendly, and most importantly, they were wonderful with the children. 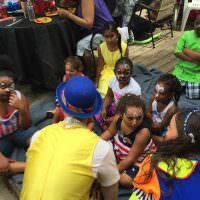 They did face painting, made cotton candy, danced and played games with the kids, made balloon animals, walked around the room mingling with kids and adults to make them all feel included, and they ended the presentation with a fun magic show and a live bunny! 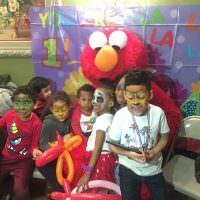 The kids absolutely loved it, and even the parents loved it because they were able to eat and socialize while their kids were having a good time. This was the best money I spent! My friends and family could not stop talking about how wonderful they were. 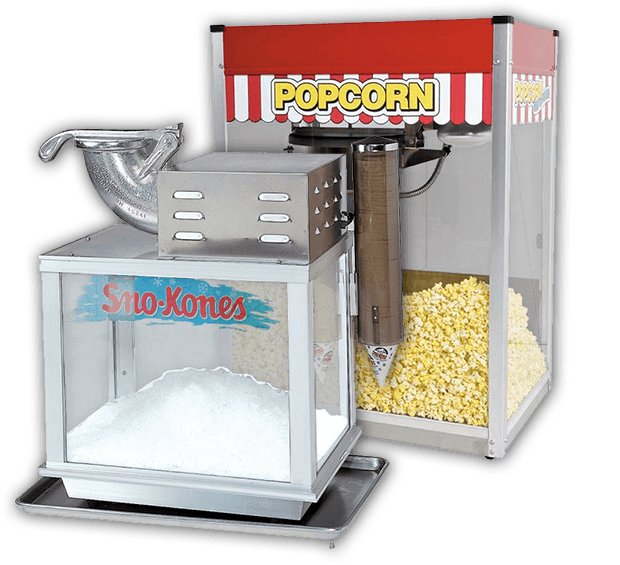 I HIGHLY recommend them for anyone who wants to throw a great kid's party!! 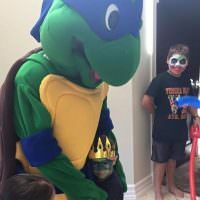 I used clowns.com for my sons first birthday party- I had a great experience from the moment booked them until the day of the party... the customer service people were knowledgable and the crew that did my party were excellent!!! I they did everything as promised and more!!! from the cotton candy to the face painting every kid and adult was entertained! 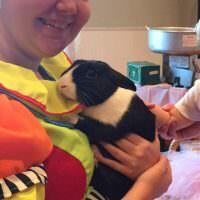 the magic show was so entertaining even the adults say to watch- the live rabbit at the end was a great touch!!! the staff were well dressed for the occasion and the costume (I chose Mickey Mouse) was very authentic! clowns.com helped to make my sons first birthday spectacular!!! I will definitely use them again and I would refer them to all my friends! 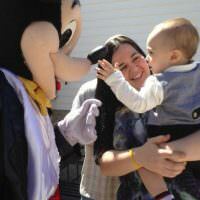 8 tips for throwing an awesome kids party!